Genji (aka Rakko) is boarding with me for the holiday and he is doing so well. It’s really nice to see the progress he has made in his new home and how well behaved he is. His owner has him in private lessons and he is taking puppy classes. Some video from this week of the puppies here. The two black/brindle girls are getting ready for their departure dates. We got some CERFs done for them and no surprises there. Vet appointments this week were all great: no murmurs, no hernias, good bites, boys all had testicles, and all got microchipped. You can see he is very people focused and outgoing and confident. Nice nice puppy. 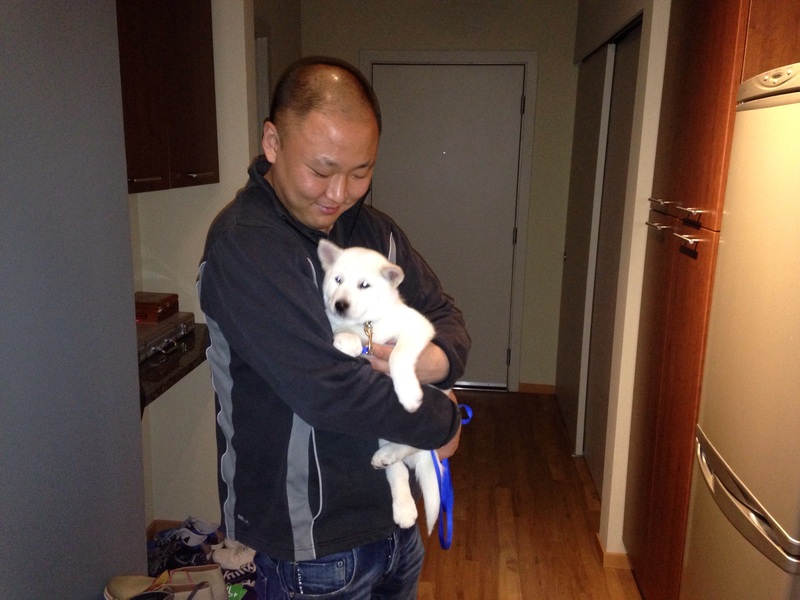 The puppy named Rakko is now renamed Genjiro (Genji) and is settling into his new home. He is rather dapper in his Halloween costume, and his new parents and Shiba sibling are all very excited to have him home. 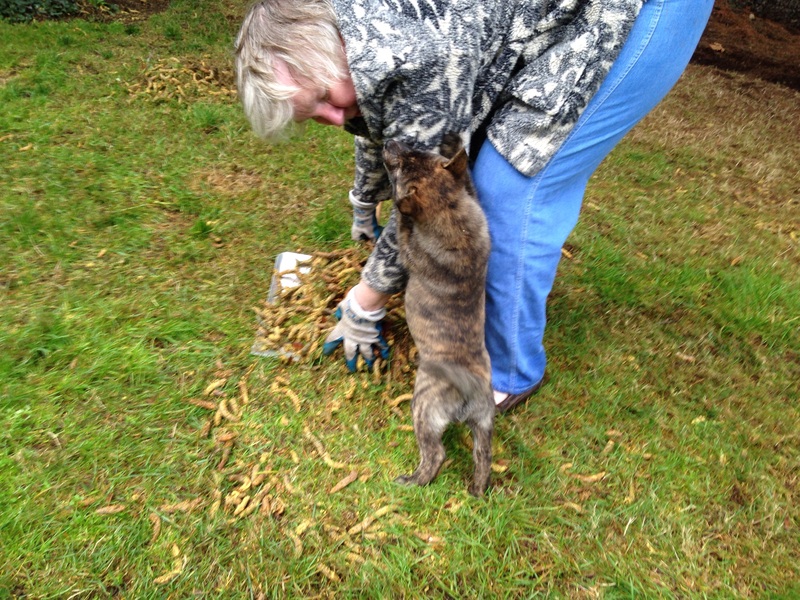 He was such a pleasure here, very helpful with showing doggy Grandma how to do yard work. It was also very very nice to meet up with Yezo and Angela and Jun again so Genji’s new family can get a good idea about what he will look like when he is a big boy. 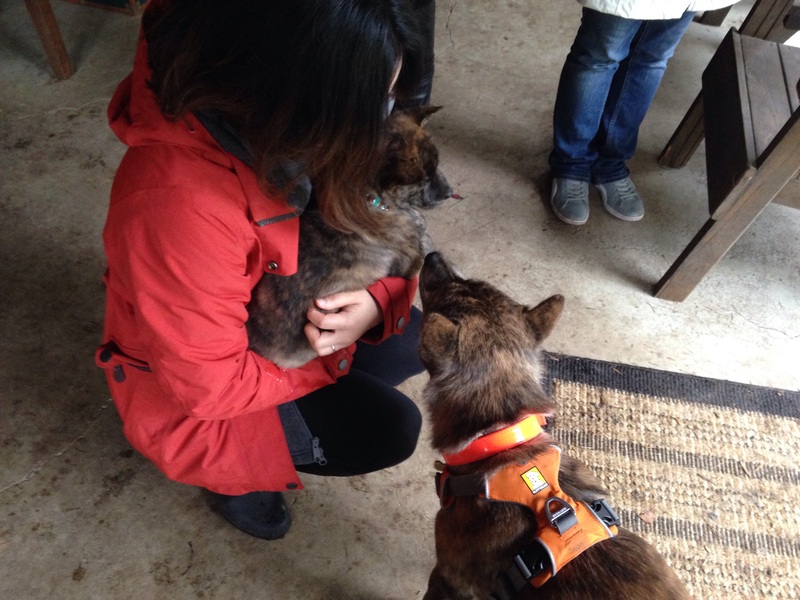 Yezo and his Kai sisters remembered me and had a good romp in the back 40 after their long drive from Canada. 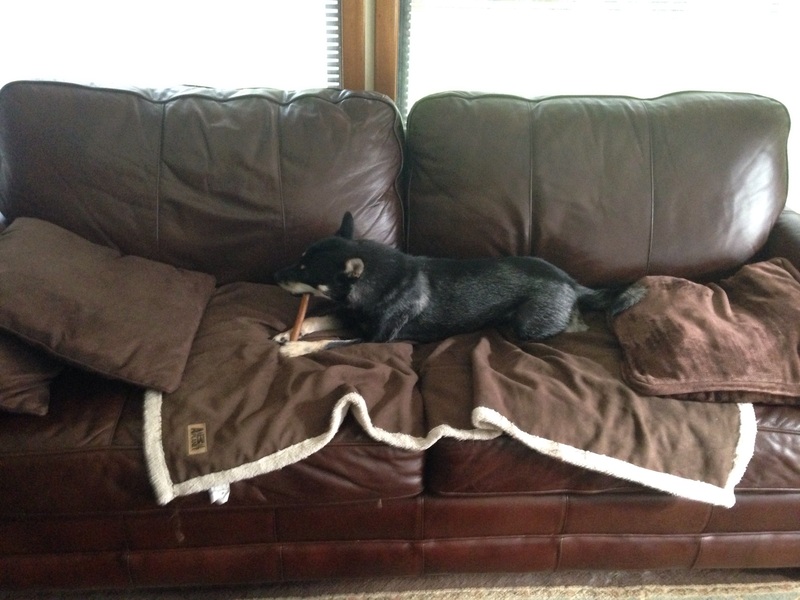 The first report indicates Genji is settling in well. 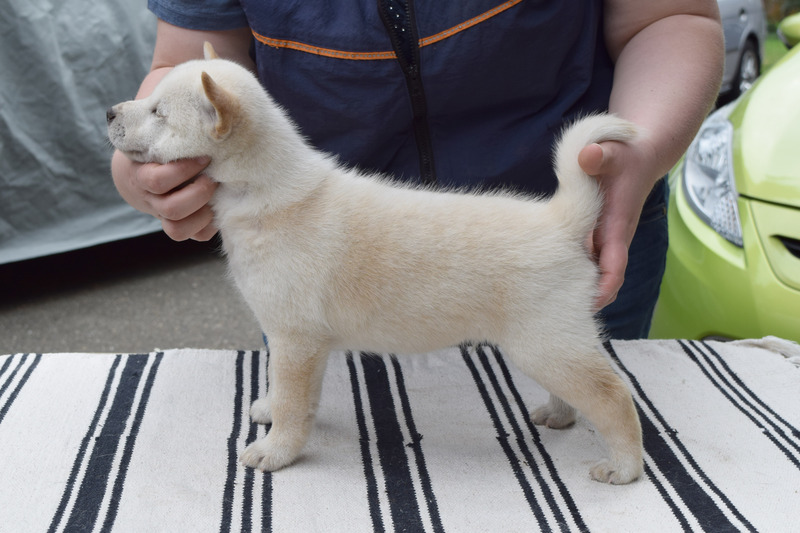 And chunky Yukar, the most mellow puppy of the Hokkaido Legion, has landed himself a wonderful new Dad who hopes to bring him to the office. 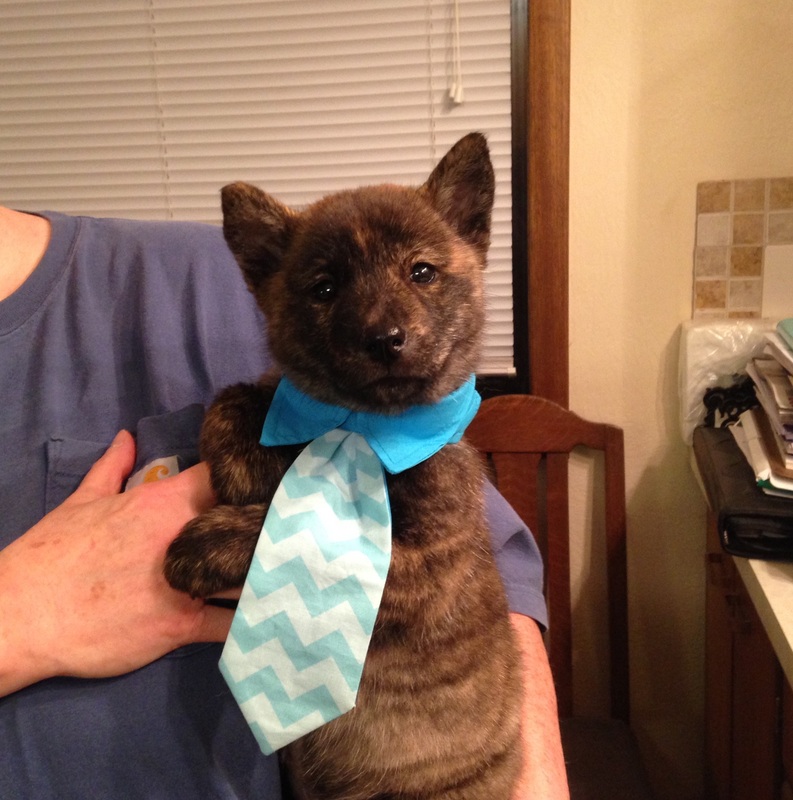 His first training session is tomorrow and I think he will make a great little office guest. 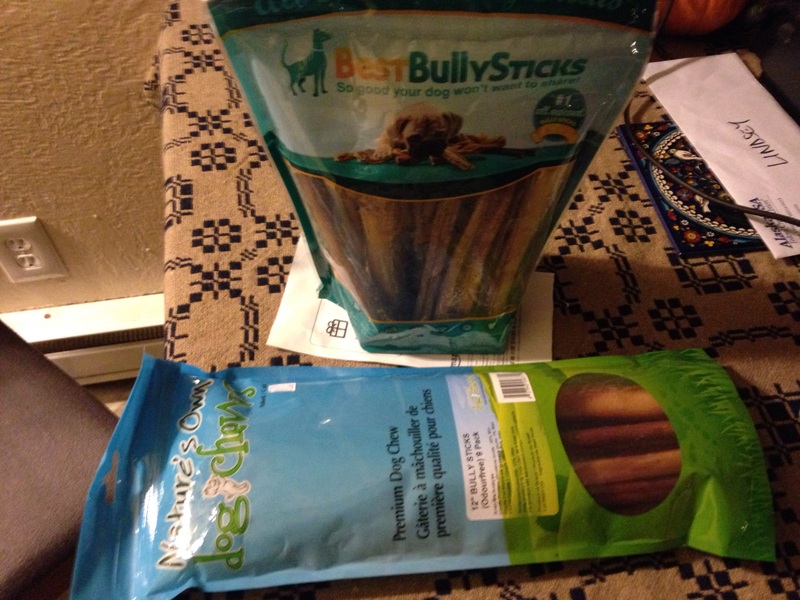 And thank you for the Bully Sticks! Genko thinks these are manna from Heaven and these buy me 30 minutes to 1 hour of quiet puppies. 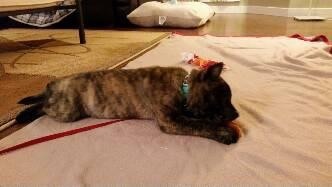 Lastly, puppy Retar is still available on a conditional placement for the right home. Puppies are over 8 weeks now, and had their first Vet visit. All are healthy with out hernias, all bites are good, no heart murmurs and all the boys have their testicles. Umma has come with me to Flyball class and has a great little personality. Rakko (now Genji) and Yukar are leaving this coming weekend to local homes and it will be nice getting to see them as they grow. They have been spending more time playing with their mom and the Shibas and learning good doggy manners. As it has been so rainy here and cold, their outdoor time has been somewhat confined to the covered areas of the yard, but they enjoy it all the same. An important lesson I have learned (oh so many things learned with this one litter already) is that 6 Hokkaido puppies at this age is too many in a group, so splitting them up into two play groups allows me to better manage them individually. 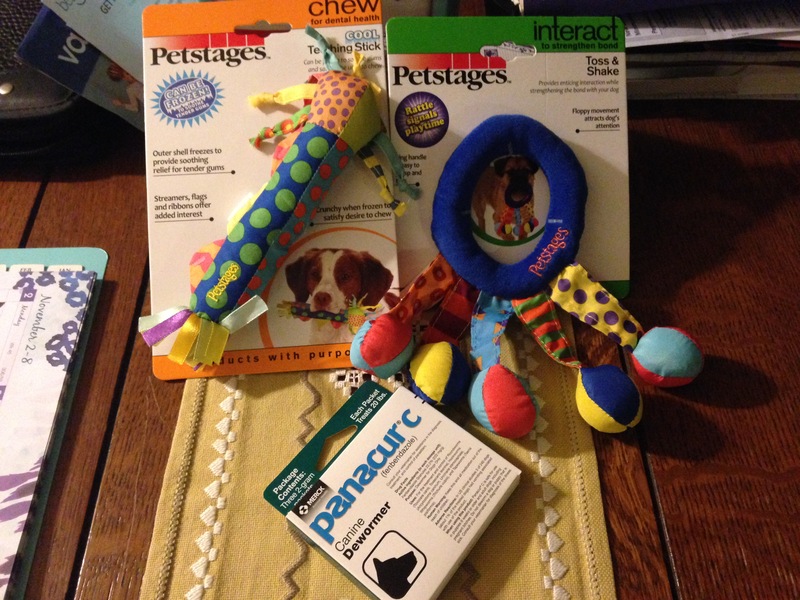 They are learning about impulse control and waiting at doors and that keeping their feet on the ground gets them rewards. Such smart little puppies and so eager to please.